It’s no secret that Becha has been extremely busy working on the advertising side of the creative divide, and very soon we will share all the information about the biggest campaign of her career so far; however being occupied with the advertising industry doesn’t necessary mean she’s lost interest in fashion illustration — quite the contrary. 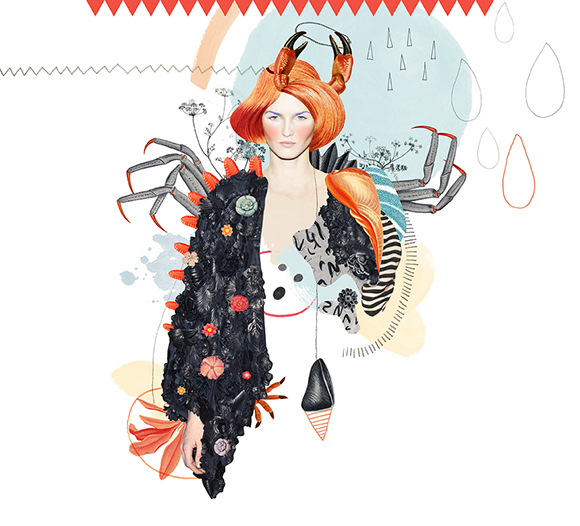 After the incredible success of the Silent Spring and Never Forever series which has made her style immediate recognisable and was featured on the leading digital art publications, Becha’s recent illustrations for Glamour Italia show the Serbian artist exploring a yet different side of her visual language. 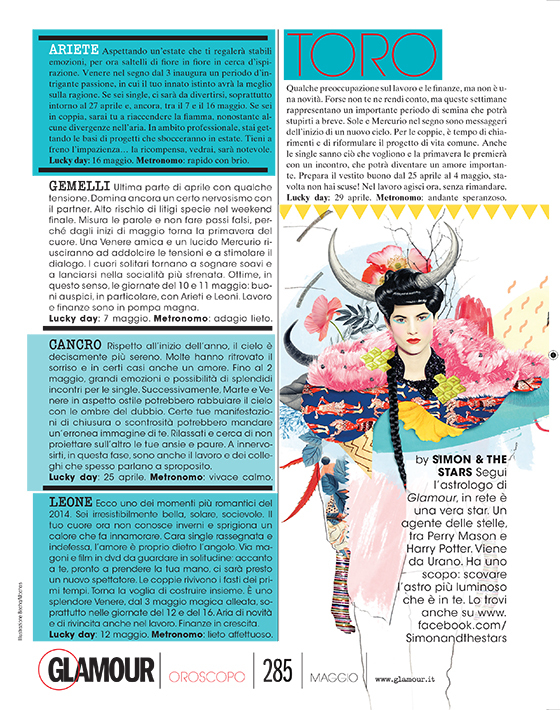 For Glamour Italia Becha has developed a subtler version of her pop and bold mood, achieving a skilfully balanced composition between illustrative and collage elements. 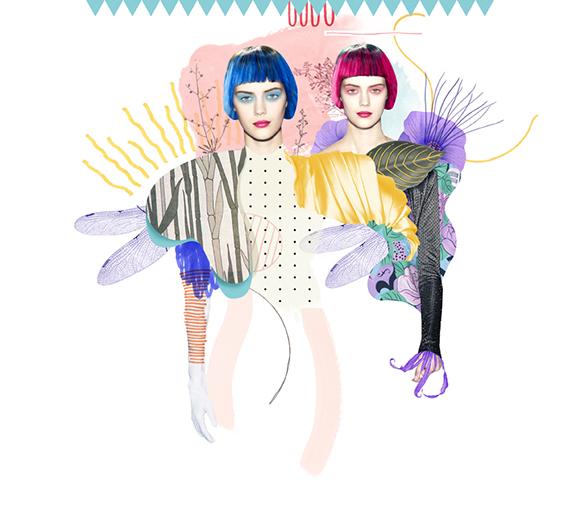 “For the horoscope illustration I didn’t want to simply combine a fashion element and the sign”, Becha says. “ I was more intrigued by the personality of each sign and I wanted to represent their character and personality”.